7pm Ritual is the new project of the founding Stein members Norbert Strahl, Nic Sender and Oliver Sittig who reunited for spontaneous jam-session after a couple of years, which finally resulted in ?:08:16:02?. The album is a dedicated and conceptional piece of work, based on one of the biggest tragedies of the past millennium. 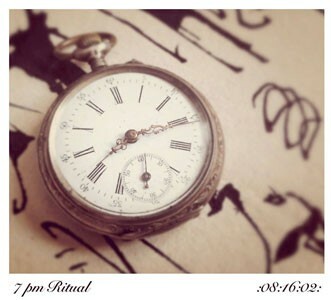 Musicalwise 7pm Rituals debut is the perfect blend of songs, influenced by Neofolk and orchestral, cinematic sounds bands that sometimes remind of early recordings of In The Nursery, but with a more folky edge. The songwriting as well as the sound quality are outstanding and there?s no doubt that 7pm Ritual and their musical diversity will leave a deep impact throughout the different genres mentioned before.